Norway isn't always about heavy rods and big lures, the variety of ground and species on offer brings countless opportunities. Adam Kirby looks back at his week with Team Tronix in Norway, where he took the light lure approach. Team Tronix recently visited Skarnsundet, Norway for an amazing week of angling and tackle testing. Out of the 18 anglers that made up the group I found myself as the sole representative for HTO. 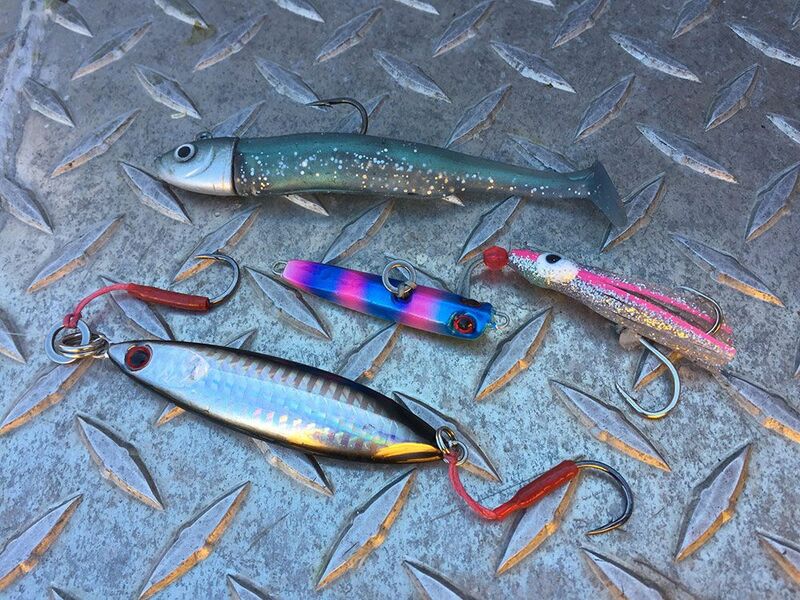 Sure, there were a number of highly talented anglers willing to throw HTO lures, but I definitely felt some pressure as I sat down on the plane. Typically for me I’d done next to no research either. This seems to be the familiar pattern to my angling these days. Turn up and fish for what’s in front of you. So with no expectations at all, that’s exactly what I did. If I didn’t have expectations, I did have a hope. 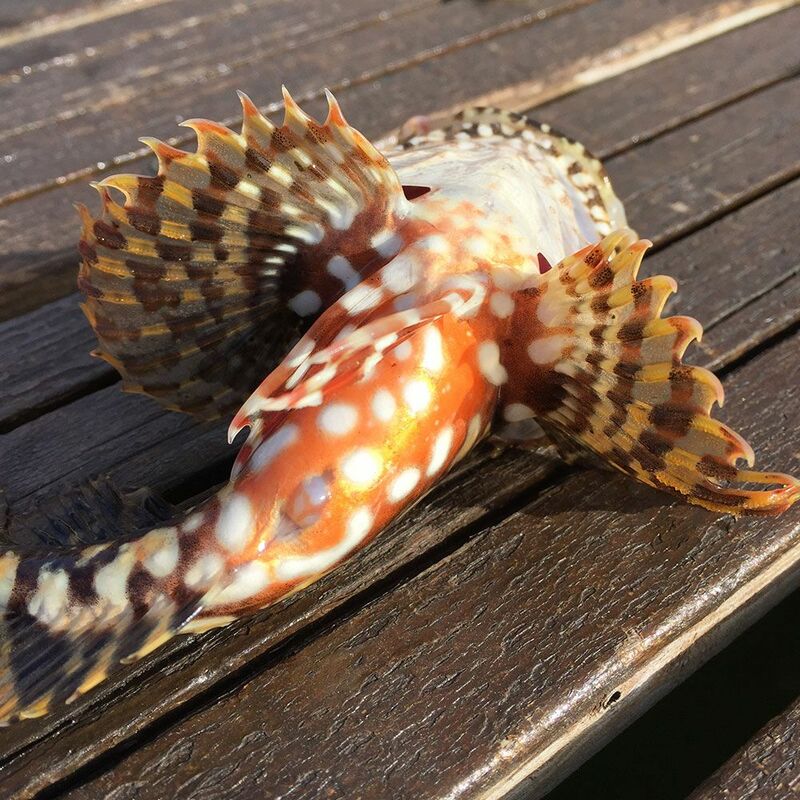 To catch a short-spined sea scorpion. Maybe even a big one. And so, on the first morning I was up and out on the pontoons of the Skarnsundet harbour with one thing on my mind. I’d not considered whether short-spined behaved any differently to the long-spined variety we get back at home, so I began searching for likely ambush spots amongst the weed, in the shallows. With some delight I was pleased when my first target shot out from a raft of bladderwrack and nailed a dark coloured HTO Knight Worm, right in front of me. It didn’t disappoint. As it vibrated away in my hand I observed the amazing technicolour belly of this rock pool prince. Yes! One very happy rockfisher. There was no time to bask in the glory though. I’d booked my spot on one of the complex’s self-drive boats. So away went the 7g LRF rod and out came the big sticks. There were almost too many target options to go for. 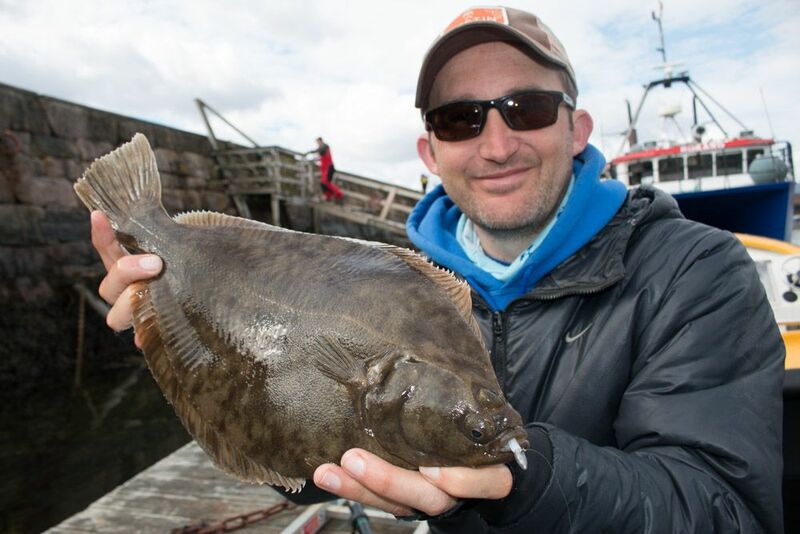 It was prime plaice season around Skarnsundet and with giant specimens available, those were high on everyone’s list. But there were the cod-family members also. I forget how we structured the first day. Truthfully, the day went by in a bit of a blur as I tried desperately to freestyle my way to success in unfamiliar surroundings. I remember Steve, a part of our gang, getting two follows from plaice on a chartreuse HTO Mighty Minnow, which gave me confidence. But I wasn’t able to recreate the act before we shot off to deeper water. Out came the HTO Slow Jigs. It was comfortable fishing. The 60g model with the holographic finish was looking good as it danced its way down the water column. 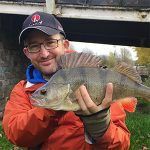 I’d borrowed the Hart Bloody Light Jig rod for the trip and although I was missing a bit of length for long-fall jigging duties, after a week of becoming acquainted with one another, I came away wanting to order one of my own. It’s a great little rod. There were cod. Of course there were lots of cod. I don’t catch enough cod back home for that to be a problem. 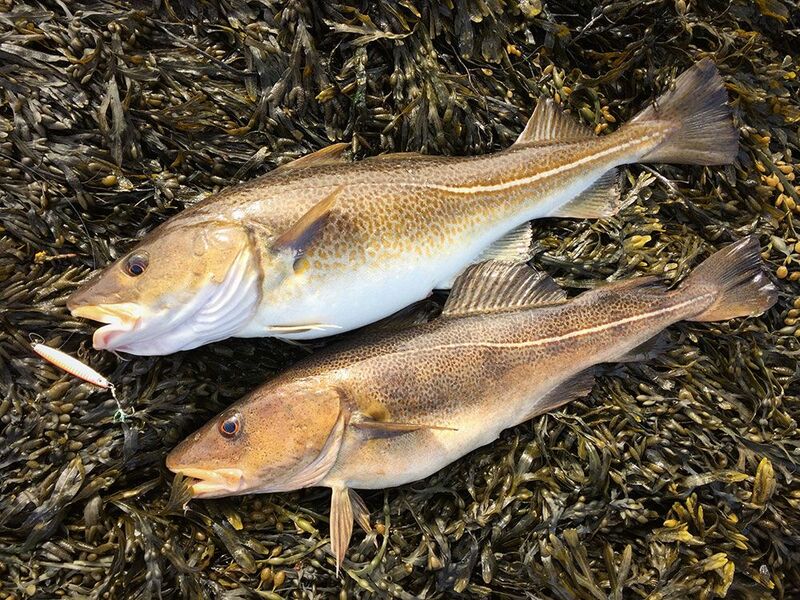 I remember thinking to myself how weird it was to be catching cod almost every drop, when back home I can devote almost an entire winter to catching one or two (or none!) It also highlighted one of reasons I love lure fishing so much. Same fish, different technique, increased enjoyment. 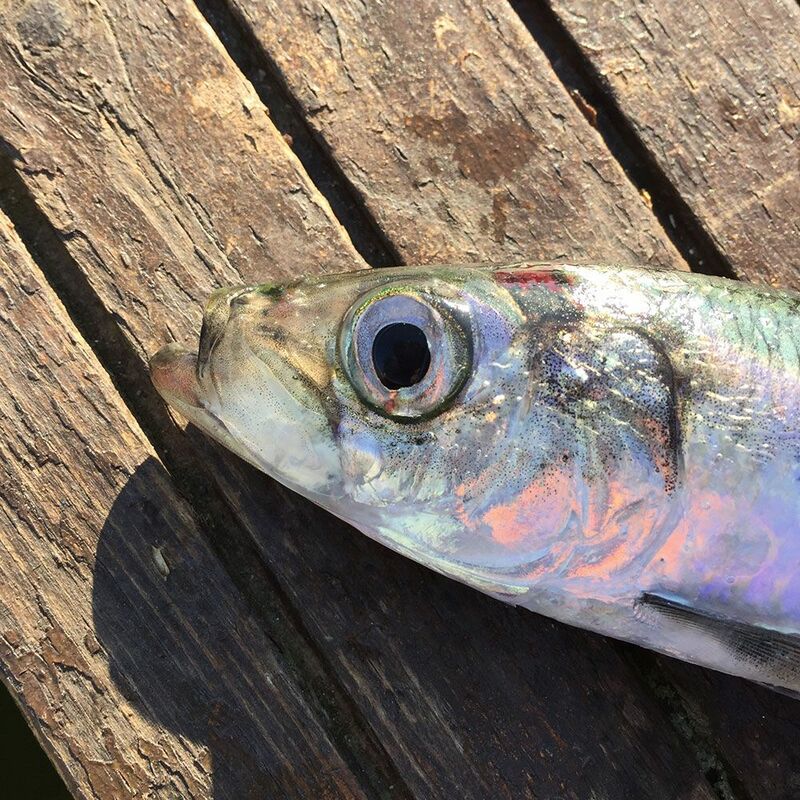 So I regularly rotated lures and techniques as I fancied. 60g HTO Slow Jigs, 28g HTO Mighty Minnows and the 20g Hart Light Inchiku were all killers at there respective depths or tide conditions. Then as I jigged a slow jig back up through the water column I sensed a hit through the Light Jig and then a dead weight. Staring at the rod tip for confirmation of life resulted in a few nods. It was a fish, but which species? As colour emerged from the depths I still wasn’t sure. It looked like a big bream. As my eyes focused, my heart stopped and there was a mad rush for the landing net. 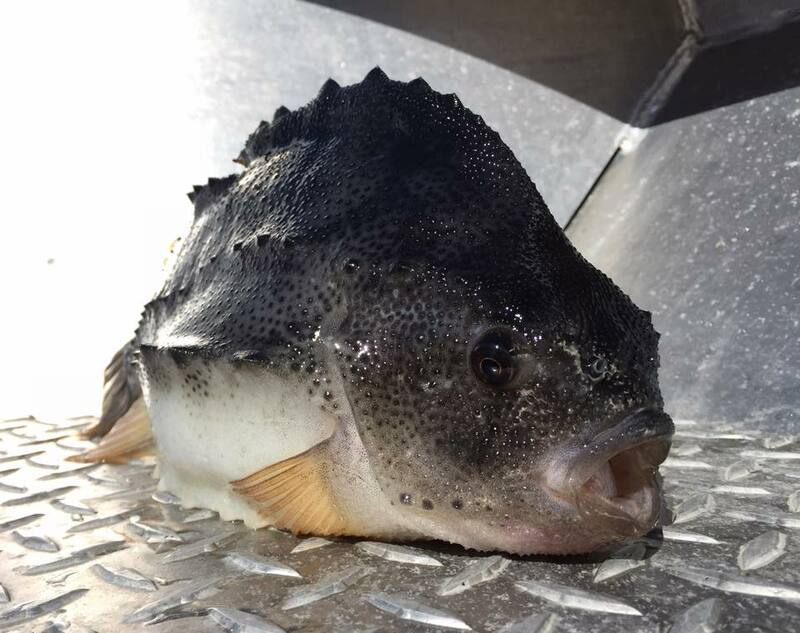 It was my first ever lumpsucker! What an incredible looking fish. A closer examination revealed that it was actually way more attractive than its name suggested. With an almost leathery hide, studded armour and dinosaur-like dorsal, it will undoubtedly remain as one of my favourite ever captures. A real gem. Two thirds of the way through day one and I was already content with the week. I could have walked back across the water to the apartments and put the kettle on! Thankfully I didn’t try. If you follow my Facebook or Twitter accounts you’d be forgiven for thinking that it was wall-to-wall fish on this trip. It wasn’t. It was really, really hard. Rock hard at times. Especially on lures. But a string of notable captures made it memorable. In hindsight, we had a couple of challenges to contend with (anglers are good at excuses!) I get the feeling that the week before we arrived, Norway had experienced some unseasonable weather which in turn had killed the water clarity. By Norway standards at least. In addition to that, our week had coincided with the ragworm spawn. The majority of the fish caught were coughing up ragworm. From cod to scorpion fish. There was clearly a massive glut for the fish. Those using ragworm were thrashing my species count where I’d ordinarily be able to compete. A timely moan on Facebook resulted in a good friend reminding me that we choose to play on the hard setting. Safe in the knowledge that at least one person understood my accomplishments I woke up the next morning and got right back on it. I was immediately rewarded with a 61cm pollack to the most minuscule sized offering. A cut-down HTO Knight Worm on a size 12 jighead! 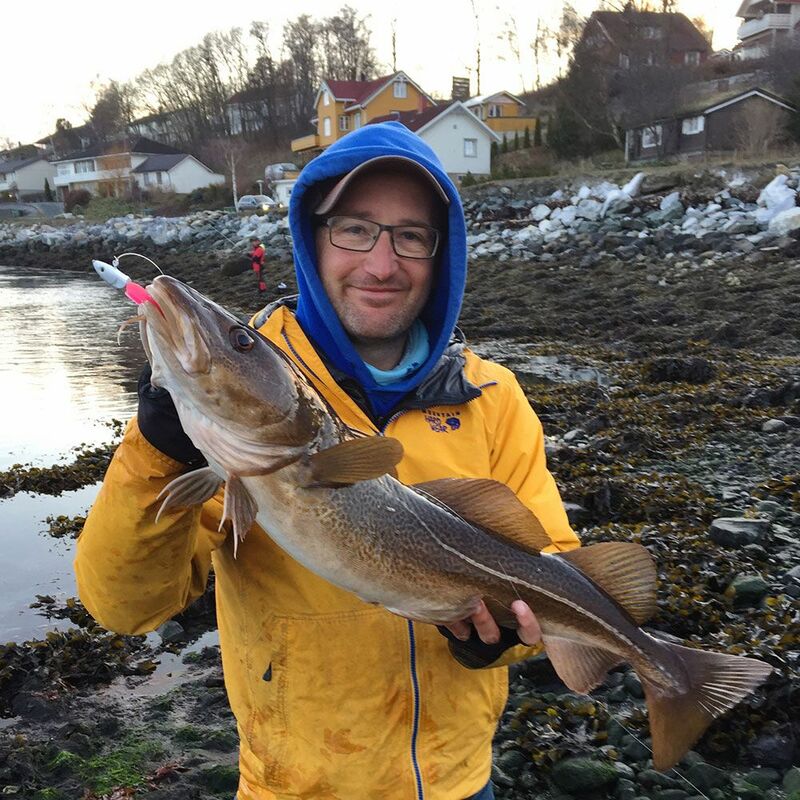 Not a big fish by Norway standards, but an LRF dream. That’s the whole point really. Obviously I wouldn’t expect anyone to limit themselves to light lure for an entire week in Norway with all the amazing opportunities it offers. But this was a special week to highlight some of what is possible, in the hope that it inspires others to scale down and have some fun. I saw a few visitors that looked like they’d crashed into the Norway-section of their local tackleshop :0/ It doesn’t have to be this way! One morning, the weather let us down and the kayaks and boats were out of bounds. I accepted an offer from team-mate Mark Radcliffe to scramble around the rocks to the side of the complex and try for a cod from the shore. We both used the excellent HTO Shore Jigs to gain the distance we required in the windy conditions. And what an amazing little session it turned out to be. 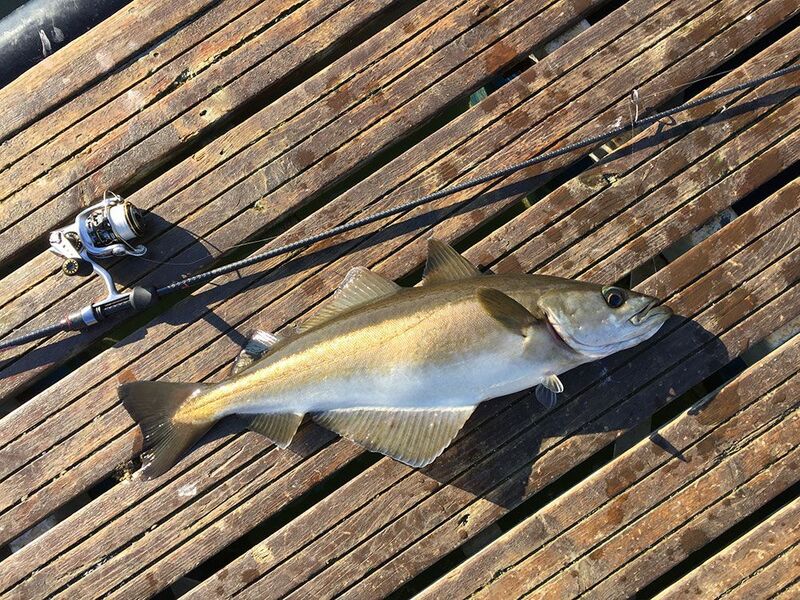 Each of us had a few cod, but Mark landed a brace that went 6lb 11oz and 8lb 10oz. It was an absolute pleasure to witness their capture. I wasn’t one bit jealous. Okay, maybe a bit! A visit to Stadsbygd harbour resulted in a 40cm flounder to my jighead. 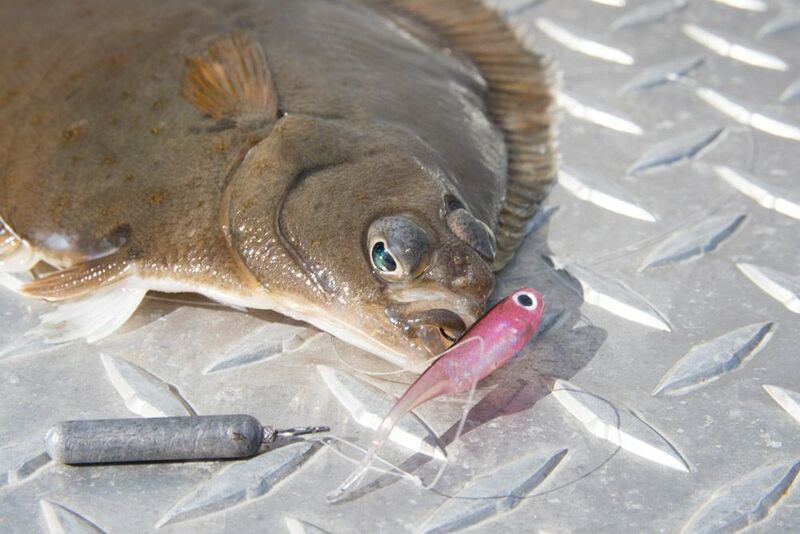 The successful lure was again the productive HTO Knight Worm. It looked to be the start of a memorable little session as gaffer, George Cunningham landed a LRF Flounder and Dab in quick succession. But we either lost the shoal or they switched off all too quickly. Still, if I had this kind of fishing available to me back home, I’d do very little else. Love catching flatties on any method. When you stay at Skarnsundet, time your vacation with suitable tides for the ‘shadding’ at Straumen – a relatively close shore venue. A better bass mark I have never seen, but being this far north of the equator, and in April, we had to make do with cod 😉 Jokes aside it was awesome fishing. Required skill level was moderate I’d say. It was challenging enough to keep you thumping out 50g shads and winching back furiously over the weed. Yet again, you also had that feeling that the next cast could see an oversize fish. My 40kg tackle allowance (not a joke!) finally paid dividends and I had exactly the right tools for the job. With a selection of all three sizes of the HTO Reel D’Eel I was able to adjust the weight of my lure as the flow increased, then ebbed away. Fish too heavy and you would snag the bottom. Fish too light and you’d be pestered by Coalfish. This time the rod of choice was the Hart Bloody EVO and I enjoyed winding it up on the cast. Again, the results were amazing by UK standards. My biggest fish went 6lb 8oz and gave a real tussle in the ferocious tide. How to win friends and influence people? 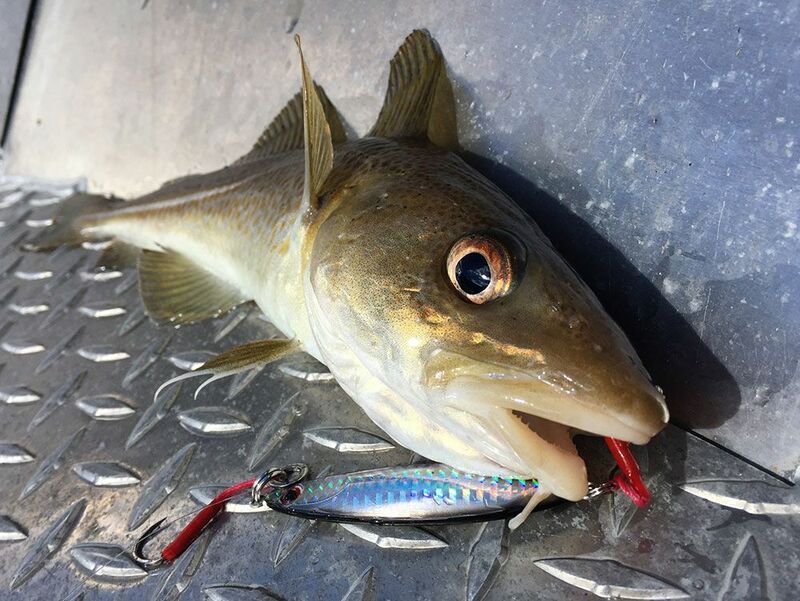 Take some LRF gear and catch Herring! I was so indebted to my housemates for their kind food handouts (took lures instead of food! ), that catching them a few fresh herring to supplement their bait stocks was the least I could do. It also reminded me that there’s always the right tool for the job. 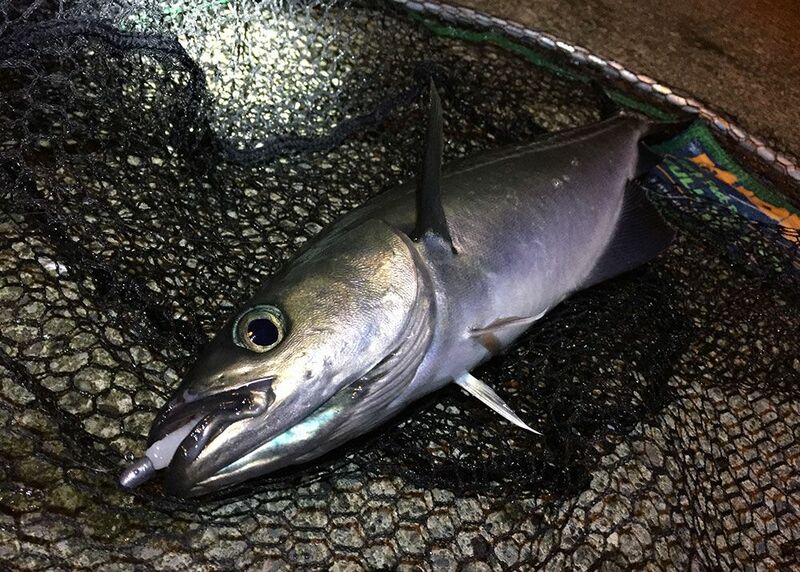 A string of Sabiki’s was impractical to fish a close range shoal, feeding on the surface. But a tiny 1-inch AquaWave Mushi on a sub 1 gram jighead was the minuscule killer! As chores go, I really enjoyed this one. 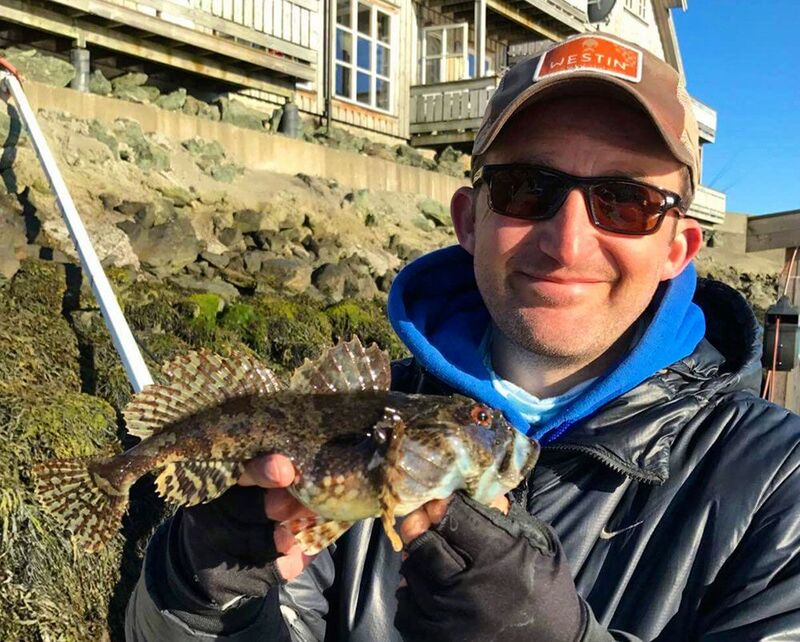 I spent the final two days on the boat targeting plaice. The area we fished was not highly populated by plaice, but there were huge individuals feeding there. Over the two days we had 6 or 7 to the net, to over 5lb. Sadly I was not among them, but I was playing on the hard setting after all. There was accomplishment though. 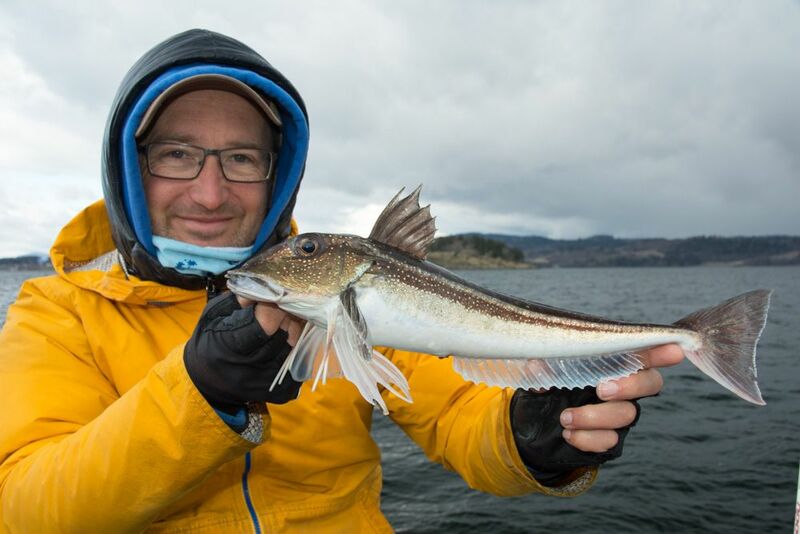 I’ve never managed to catch dab on a lure and it was apparent that they were of good size and numerable in Norway. Ideal. My last thoughts each night would be how I could hook a dab with the drift speeds we had to work with. 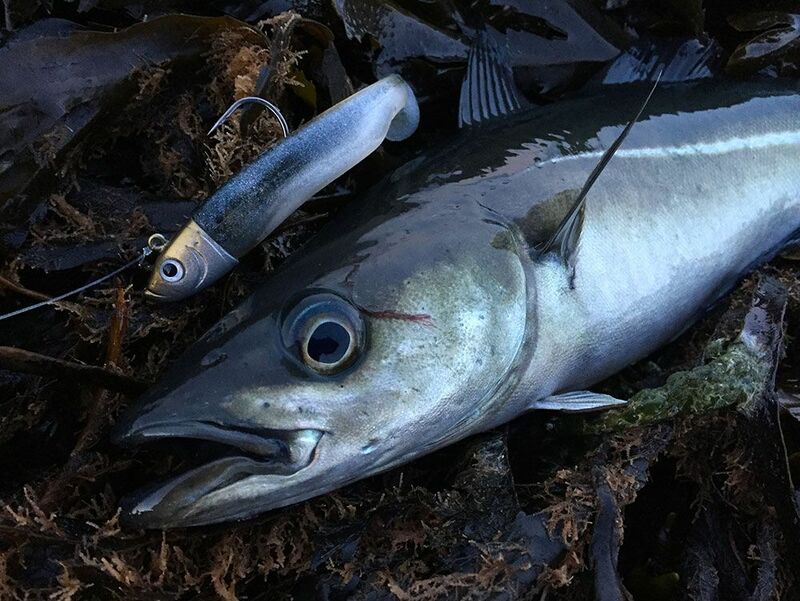 Then on the last day it all came together and I nailed a couple of dab on a dropshot-fished Hart Rock and Street Micro Fish – a tiny holographic split-tail. A cooler, more satisfying dab I will never catch.